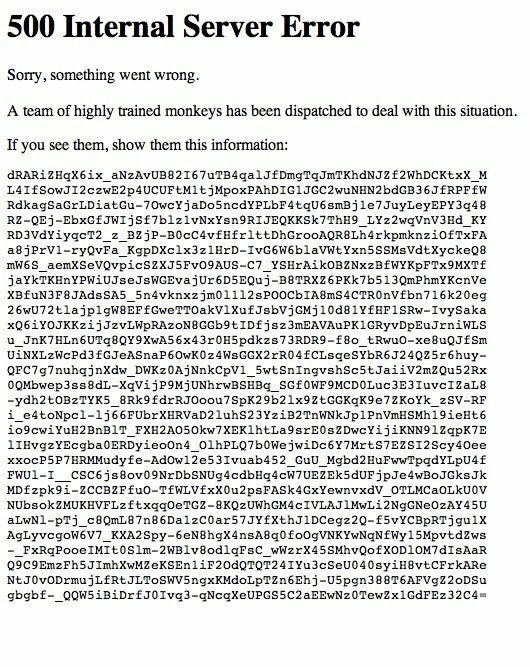 Something went wrong when I tried to bring up a YouTube video and the page showed this. Who trains the monkeys? What do they feed them on and where do they keep them? Wouldn't it be more sensible to have human coders look into these kind of faults? 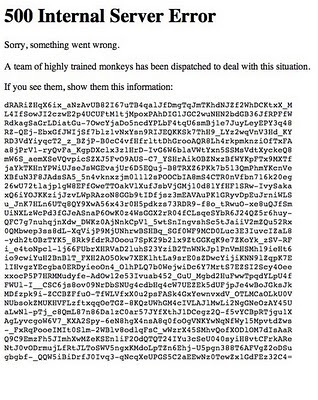 Surely it is not in Google's best interests to use monkeys solely for this task. The cost of training, food, and housing must surely outweigh the benefits because I have never seen a 500 Server Error before and it must be rare. Perhaps the monkeys are part of a wider project and if so, I think we have a right to know. I think 'search relevance' would be a good place for monkeys to start working on.